In Aug, 2017, in the aftermath of Andrew Holland’s jailhouse death, Supervisor Debbie Arnold made a motion to direct staff to explore the possibility of contracting out mental, medical and dental care for jail inmates. The board unanimously approved the motion. At Tuesday’s board of supervisors meeting, county staff will recommend that the board vote to contract out mental, medical and dental care for jail inmates. 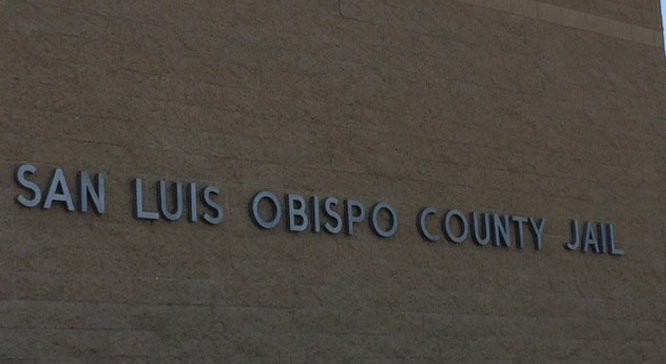 Most counties of similar size to San Luis Obispo already contract out health care for inmates, according to a staff report. As an alternative to outsourcing, the county could revamp its existing health care services for inmates. A county staff report states contracting out the services would cost $6.3 million or less, while revamping the county’s existing program would cost $9 million. Additionally, outsourcing health care for inmates would transfer much of the legal risk the county currently faces. SLO County has been hit with multiple costly lawsuits in recent years over jailhouse deaths. If the county were to outsource inmate health care, 24 workers could lose their jobs. However, the county would likely offer some of those staffers work in other departments. If the board approves the outsourcing proposal, staff will begin searching for a company with which to contract. So the administrators, including Sheriff Parkinson, failed to supervise their staff and the results were deaths at their hands and a staff not held accountable. Now those same failed administrators will oversee the outsourcing of medical care, only in government does this make sense. The State may have employees that can work under a mutual aid agreement just like the fire departments. The proposal privatizes the health care delivery, however the Sheriff’s Chief Medical Officer, Dr. Mulkerin, will continue to supervise the medical staff. The salary savings will be $2.5M annually. The private contractor already provides the same services in 26 county jails in California and their model has been tested and it works. Besides saving money this plan eliminates the in fighting and buck passing that has gone on between the sheriff’s and health departments. If contracting out the services would cost $6.3 million or less, vs revamping the existing program (which seems to be very poor) at a cost of $9 million, that’s an easy call to make. Saving around $2.7M and at the same time decreasing the liability to the county sounds like a win-win. It won’t work unless they contract ALL the services…. sheriff deputies too. I do NOT believe the problem is the medical staff, but rather that the deputies are not alerting medical staff in a timely manner. Andrew Holland did not die because of a medical neglect; he died because deputies tied him to a chair for 2 straight days and cause a fatal blood clot in his leg that moved into his heart/lungs when they FINALLY moved him. So it won’t help the inmates, and if the deputies aren’t trained, the County will STILL be liable for their bad decisions. Everyone should be entitled to reasonable health care. So for those who can’t afford the high cost of care and Obama Insurance some may choose to get arrested and have their medical needs taken care of, 3 meals and a bed to sleep in. So will Sheriff Parkinson’s salary be decreased if he no longer has the responsibility for health care for inmates?